Rent Moonlight Studios | Corporate Events | Wedding Locations, Event Spaces and Party Venues. With its open floor plan, lofted ceilings & unique architectural features, Moonlight Studios is the perfect location for events, weddings and photo shoots. 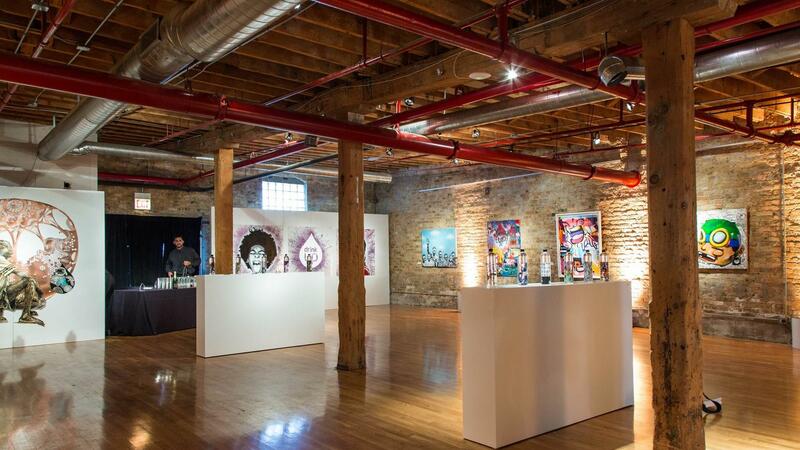 Situated in Chicago’s hot West Loop neighborhood, Moonlight Studios offers highly unique and versatile spaces for special events and production. The facility, a repurposed factory, consists of more than fifteen thousand square feet of industrial chic space including the 6,000 square foot open studio, 4,000 square feet of gallery space, a 1,500 square foot production office, as well as pre-function, prep and green room areas. All of the spaces are interconnected and can be configured with endless possibilities. Modern neutral finishes and reclaimed accents that hint back to the building’s past provide a visually interesting yet neutral backdrop for events and shoots. *Moonlight Studios can be transformed into a variety of different configurations!